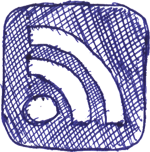 so i'm not sure this is really blog worthy, but it gives you an insight in to the nonsense that goes on around here, especially over breakfast. 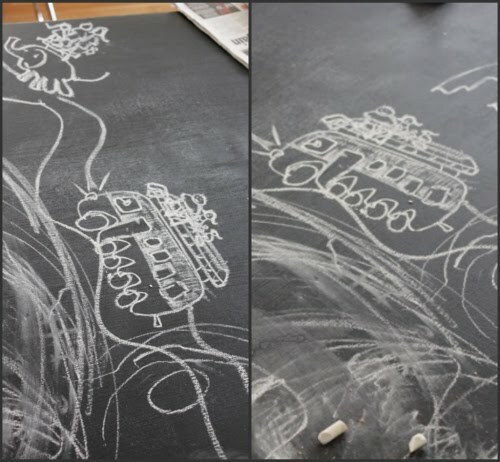 mirka requested that i draw a bus on the table & before long there was a whole story based around us catching a bus along a bumpy road in thailand. of course we had to sit up on the roof because no seats were left inside. soon enough, my tale had us all riding an elephant through the jungle together. if you look carefully, you can see all four of us, the husband, me, mirka & baby charlie. i'm no artist, but the chalkboard table is good for tall stories & squiggles. can you tell i'm desperate for a holiday? dreaming. No artist? Really? They are fabulous drawings and are obviously matched by an equally fabulous imagination. 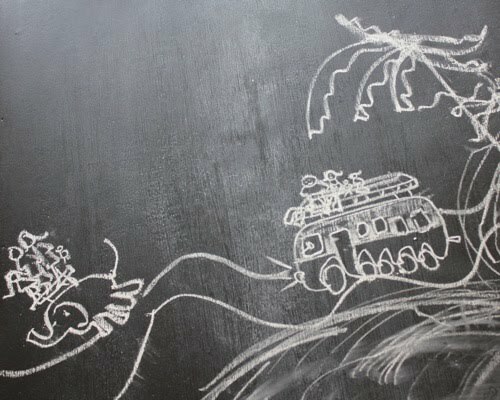 I love the drawing of Baby Charlie on the back of the elephant - I hope he's holding on tight! what a way to start the day, sweet.